Nilkanth Mahadev Temple is old and ancident temple in Rishikesh. 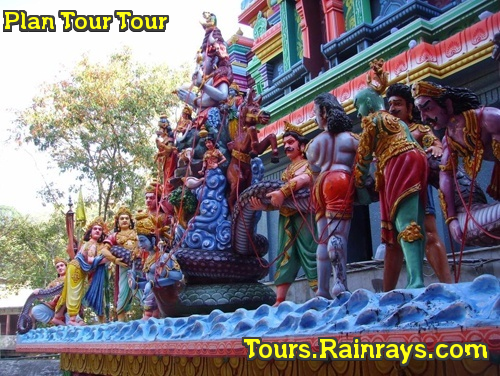 Due to its religious significance it is most visited by the devotees. Location : Nilkanth Mahadev Temple is located on a hill above Swargashram in Rishikesh and just 32 km from Rishikesh via road. Nilkanth Mahadev Temple is dedicated to Lord Shiva.Temple is one of the most revered holy shrines dedicated to Lord Shiva and is a prominent Hindu pilgrimage site. The temple is surrounded by compact forests and its imminent to the mountain ranges of Nar-Narayan. This Shrine is situated at a height of 1330 meters on a hill. It is perfectly placed at the confluence of Pankaja and Madhumati rivers. 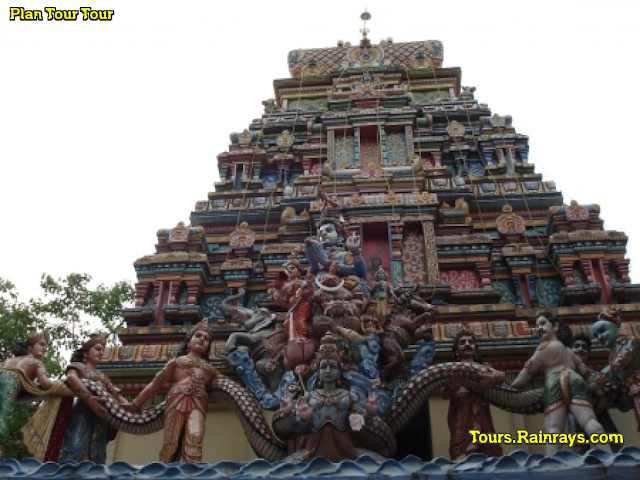 The Temple has a sikhara which is decorated with sculptures of various Devas and Asuras depicting the Samudra Manthan. In the temple complex you see the natural spring where devotees usually take a holy bath. This temple provide the engaging view of surrounding hills of Vishnukoot, Brahmakoot and Manikoot. 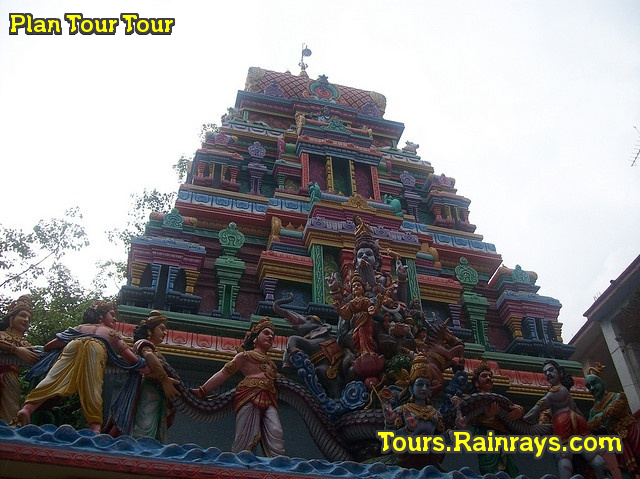 Because of its beauty & religious importance the devotees and nature lovers visit the place round the year. At that place where Nilkanth Mahadev Temple is currently stands, this is that place where Lord Shiva consumed the poison Halahala that originated from the sea. After drinking the poison the throat of Lord Shiv became blue (neela) and hence the name Neelakanth. The poison emanate during the Samudra Manthan. Main Festival : Maha Shivaratri is the most significant festival celebrated in the temple. During this day many devotees came here and visit to Neelkanth Mahadev. They offering of Bael leaves, honey, flowers, coconut, milk, fruits and water to the Lord Shiva. Thousands of devotees visit this temple on the day of Shivratri and another in the month of Shravan (July-August).